Yesterday Hub invited me on a Street Child World Cup field trip to watch Team England train ahead of the FIFA World Cup. 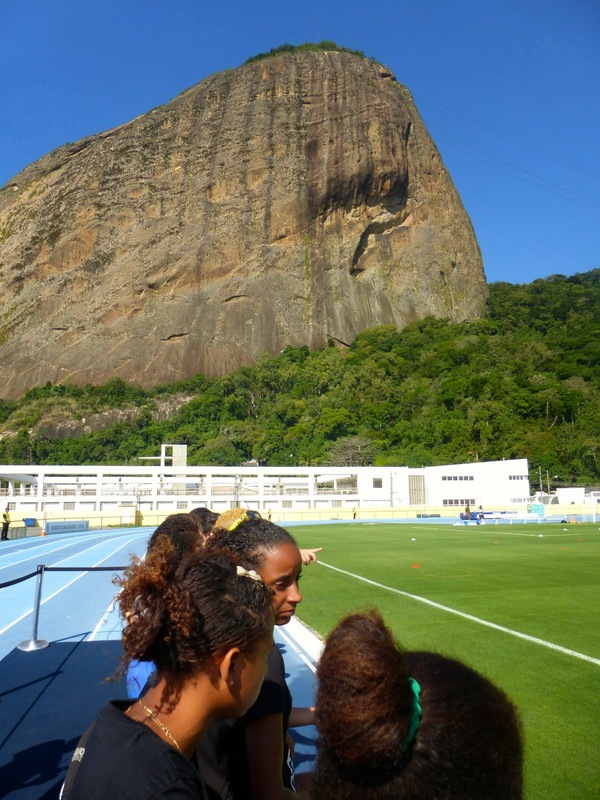 It was a press event and we took Team Brazil Girls from the Favela Street Project and a few girls from the British School to watch the national team play. Team England are training at Fortaleza de São João, a military fort in Urca and it was a gorgeous day yesterday. It was also piping hot! When the team came out the girls went nuts! It was so funny and lovely to watch their excitement, trying their hardest to get a waive or smirk. Afterwards we had a quick lunch at the British school then headed up to Pão de Açúcar. The cable car journey was smooth and the views beautiful. Most of the girls had never been up to Sugarloaf before so they were super excited and by the end, they broke out into songs from the Street Child World Cup. It was super windy at the top and in our final group shot, a random Colombian fan photo bombed us! It was a lovely and pretty random day.